Fashion powerhouse Georgio Armani has taken a huge step forward for animals. The famed designer announced on Tuesday, in conjunction with Humane Society International (HSI), that he will remove all fur from his lines beginning with the Autumn/Winter 2016 collection. Armani's brands include the high-end lines Giorgio Armani and Armani Privé, as well as ready-to-wear brands like AX | Armani Exchange. "I am pleased to announce that the Armani Group has made a firm commitment to abolish the use of animal fur in its collections," Giorgio Armani said in a statement. "Technological progress made over the years allows us to have valid alternatives at our disposition that render the use of cruel practices unnecessary as regards animals. Pursuing the positive process undertaken long ago, my company is now taking a major step ahead, reflecting our attention to the critical issues of protecting and caring for the environment and animals." The move by such an iconic designer to eliminate fur could mark a huge shift in in the fashion industry. It's especially noteworthy as fashion watchers have recently observed a resurgence in fur's popularity, thanks in large part to haute couture designers and the celebrities who wear them. 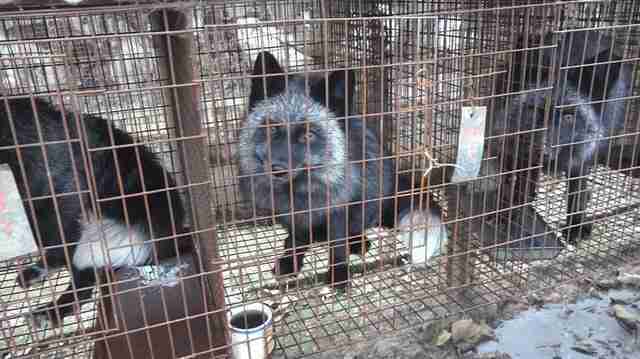 HSI called Armani's decision "probably the most powerful message yet" that fur isn't fashionable. "Armani is the first word in luxury fashion, and so it is hugely significant for the global fashion industry that Armani has pledged to remove animal fur from all his new collections going forward," Claire Bass, executive director of HSI's U.K. division, said in a statement. While fur was a longtime staple in fashion, it has fallen out of vogue as the public has learned more about what exactly goes into producing the once-lux material. 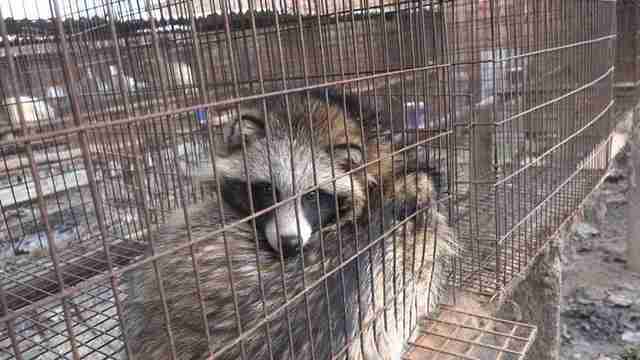 The animals involved - domestic rabbits, foxes, minks, raccoon dogs and more - are packed into dirty wire cages where they spend their short lives, unable to exhibit any natural behaviors and developing stereotypic behaviors, repetitive patterns and tics that stem from psychological trauma. 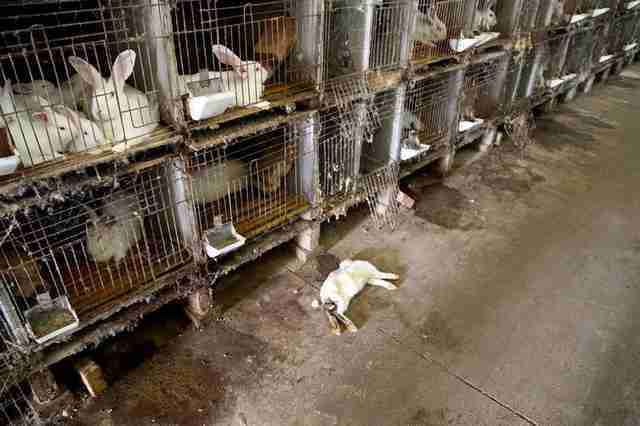 Their lives are torturous - HSI describes it as "unrelenting deprivation" - and they're usually killed brutally, including by being repeatedly shocked to death, beaten to death with metal bars or skinned alive. But Giorgio Armani's decision to make his empire a little bit kinder could be big news for the 75 million animals currently on fur farms - and for the animal-loving consumers who want to wear his clothes. Armani joins the small but growing ranks of other high-end designers who have chosen to eschew fur, including Hugo Boss, which banned fur and angora wool last year, Tommy Hilfiger, Calvin Klein and Stella McCartney, which avoids both fur and leather.